Follow us and keep up on EG Giving Back! 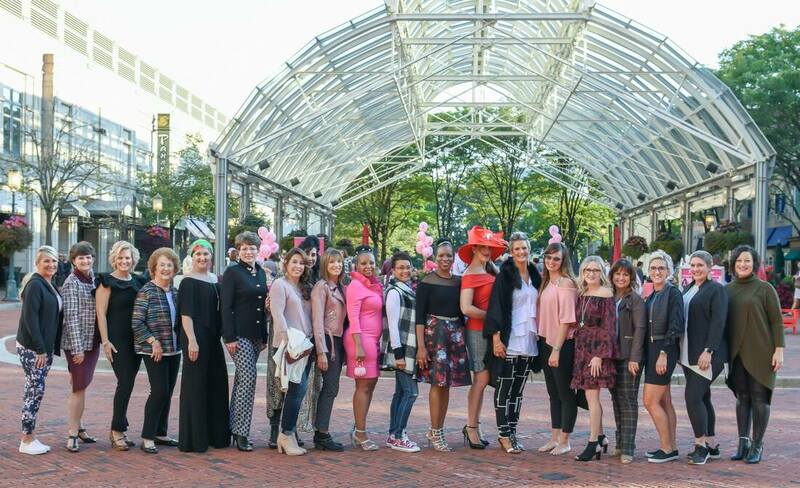 On September 29, 2018, The Eyewear Gallery joined forces with Scout & Molly's, Athleta, Kendra Scott, Midtown Jewelers, other Reston Town Center businesses and community volunteers for a fashion show to benefit Susan G. Komen Breast Cancer Foundation. All the models were breast cancer survivors, or currently in treatment, and an inspiration to us all. We had over 600 attendees and raised almost $30,000 for breast cancer research! Here's an eye opener for you... Dr. Dawn brought home the coveted First Place Mirror Ball trophy at the first annual Dancing with the Services competition on November 11, 2017! She danced along with members of the local police force, Air Force, Army, and even Herndon's Assistant Mayor! ​In total, $46,000 was raised for The Pink Fund for Breast Cancer and The Police Unity Tour, to raise awareness of Officers who have died in the line of duty. Dr. Dawn Gammon and our dear friend and Optician Cindy Elkin, along with approximately 75 other medical professionals from the VHC Medical Brigade, attended their annual medical mission trip to Honduras. Dr. Gammon and Cindy, along with other members of the Brigade Eye Care Team worked in remote villages surrounding the area of Comayagua, bringing primary eye care to the underserved populations there. The team conducted a basic eye examinations using a hand-held auto-refractor, and provided recycled prescription glasses provided by the Lions Club, as well as readers and sunglasses. In the one week stay, the Eye Care Team saw approximately 650 patients a day, and dispensed over 3,500 pairs of glasses. Improved vision can be a life-changing opportunity for people who would never be able to afford a service that most of us take for granted. Many of the people in the villages make their living by doing handcrafts. When their vision goes uncorrected, they can no longer provide for their families or themselves. Correcting the vision of a child may ensure that they are successful in school. To learn more about the Virginia Hospital Center Medical Brigade visit the website at: www.vhcmedicalbrigade.org. On behalf of the needy people of Honduras, we thank you!